What is the first thing that comes to mind when you think of professional artwork transport services? A team of art handlers moving a painting? A truck full of different statues and sculptures in secure wooden crates? That’s certainly true. However, art is not only oil paintings and sculptures, and any professional artwork transport company should be prepared to ship fine art of any kind, even when it comes to murals and wall paintings of the impressive size. 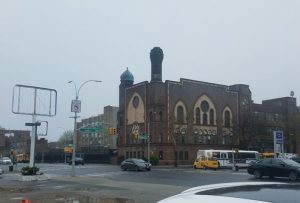 In this blog post, we want to tell you a very interesting story that happened in New York not so long ago. Banksy Is Back in NYC! If you are, at least, a bit passionate about street art, you know who Banksy is. In fact, it is pretty hard to find a person, one way or another related to the world of art, who has never heard of this anonymous artist. After all, his works are now being sold for hundreds of thousands of dollars at auctions around the world. 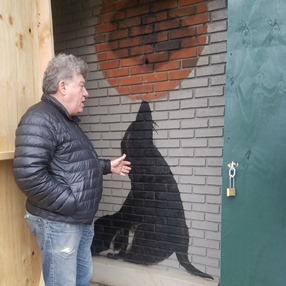 So it was real excitement when our team of artwork transport professionals was asked to check out a new Banksy mural that needed to be extricated from a building in the unassuming Brooklyn neighborhood of Midwood. 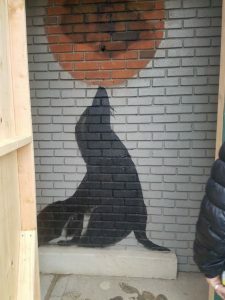 However, the most interesting thing is that there were actually two murals painted by Banksy on the walls of the semi-derelict structures: one showing a black seal balancing a ball on its nose, which was likely the Mobil gas logo, and another showing a suited man wielding a whip in the form of a red rising graph over the heads of a running crowd. 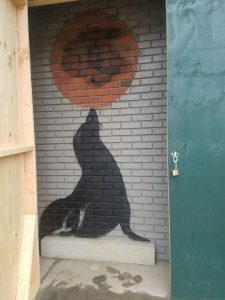 The owners of the former Mobil gas and service station with the seal piece on its wall realized the significance of the work and made a smart decision to call Fine Art Shippers in order to save Banksy unique mural and preserve it for the future. 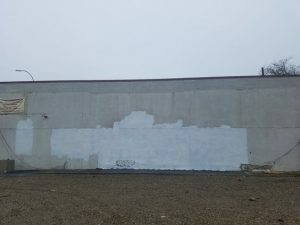 However, the larger mural on a building right next to the Mobil gas station was destroyed. The building’s owners simply painted over the mural with white paint. Most likely, now they deeply regret their decision as that mural is definitely worth more than the entire building. It is needless to say that to extricate the Banksy mural from its original home and move it to the new location is a big challenge. However, our experienced artwork transport team has all the required knowledge, skills, and equipment to get this job done in the best way possible. 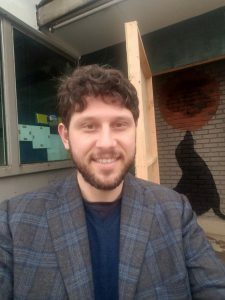 Stay with us to learn more about this exciting art moving challenge!